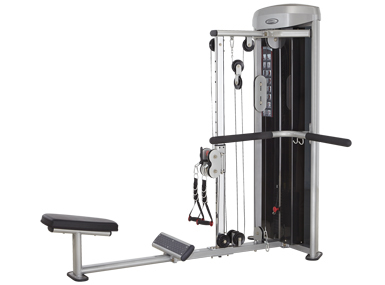 ． The perfect fitness equipment combines with power and beauty, which is especially emphasis on “creative modeling and zero-load work”. The appearance with double layer glossy silver and flexible structure highlights the professional and high quality of product. The cable driving concept, 1/2 ration setting, smooth and convenience of slide functions create the state of art fitness training machine.